Joshua “Scribe” Watkis – WusGood? WusGood: “What’s your fav thing ’bout being Slytherin? What forbidden nectar drips from lips and quill? It is so much older than I. Two more take its place. I ask my white siblings about police brutality. This church is dead to me. A lifetime immersed in the performing arts has made Joshua “Scribe” Watkis entirely devoted to the gift of storytelling. 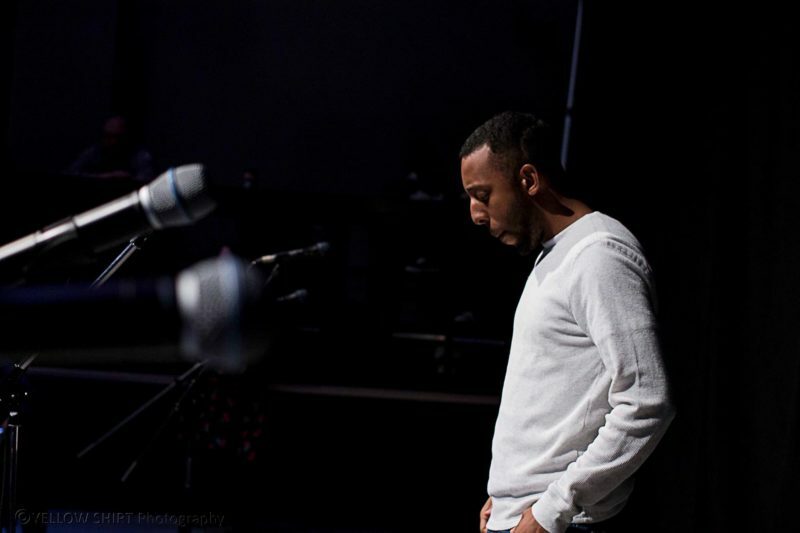 Through Spoken Word Poetry and Hip-Hop, he has taken thousands into his world to experience it as he does. The Toronto born poet has performed on stages across Canada, appeared on CBC and has opened for the legendary Hip-Hop band ‘The Roots’ with ‘The Uncharted’ collective. As a competitor he has attended the Canadian Festival of Spoken Word in 2014, 2015 and 2017, never having missed a finals stage. Scribe, owner and facilitator of Word is Bond, is an Arts Educator and event organizer as well, on the Board of Directors for BAM! Youth Slam and a curator for the Roots Lounge Open Mic & Poetry Slam. His goal is not only to bring his audiences through his story, but to gift them with the courage to do what he calls the “bravest act on Earth.”. To share their own stories, in their words, out loud…. Scarborough born & raised. West end res. Spoken Word Storyteller who will run up if you call him a slam poet. Pac’s son, God’s child, Cass’ husband soontime. All for excellence.